Insect repellent for dogs and cats. 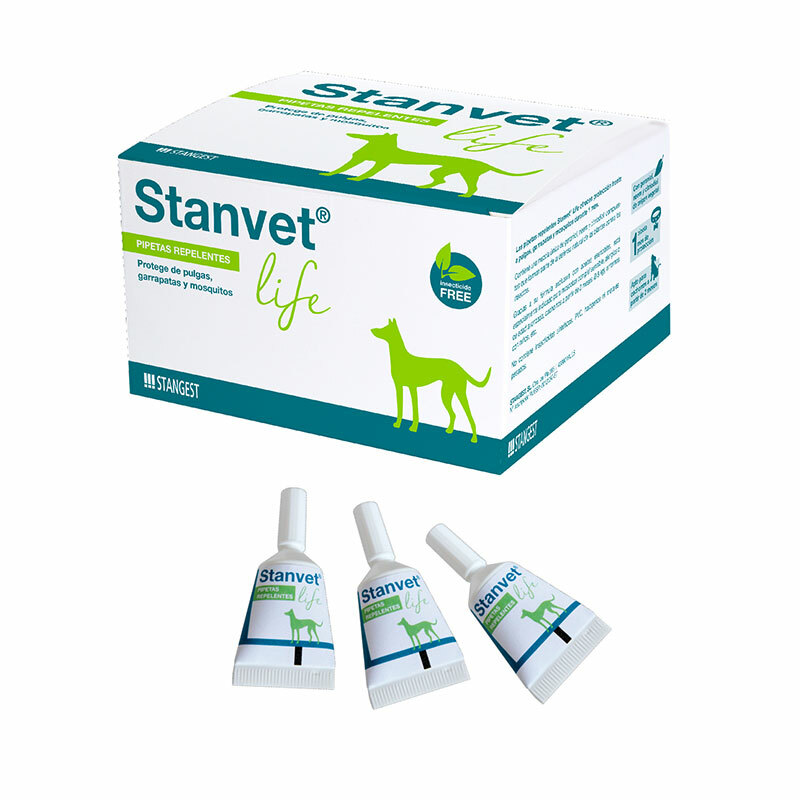 Stanvet Life is a new range of mosquito repellents, fleas and ticks. It has an exclusive formula with 4 extracts of vegetal origin, that respect the health of the mascot. Thanks to its composition, it can be used in puppies from 2 months or 0.8 kg, dogs with sensitive skins or allergies, elderly dogs, environments with children, etc.